Handy! Grid on back to map out specifications or services to be performed. Signature area. 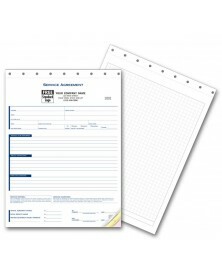 Handy area for Contractor's and Subcontractor's signature. Before a dispute arises, establish a contract for services rendered and pricing with an outside party, and our agreement forms offer just the right features. 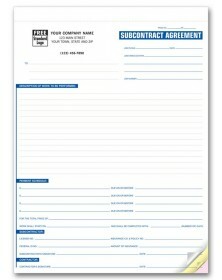 For general or subcontractor services, our agreement fields allow you to draw up a list of all paid tasks in detail, provide payment information, and add both signatures. 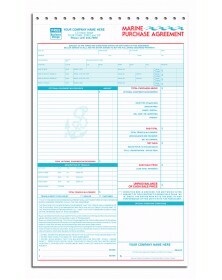 Carbonless paper or carbon inserts create multiple copies of the agreement for your and the outside party’s records, and consecutive numbering assists with improved management and organization. For establishing a presence as a business and creating a distinctive appearance for all contractors, customize your forms with a logo – available free of charge.